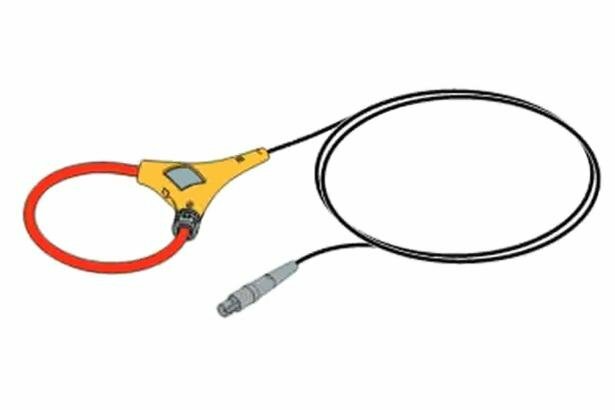 The Fluke 3210-PR-TF 1000A Flex Thin Flex Current Probe is an ac current probe utilizing the Rogowski principle. The Fluke 3210PRTF Probe is designed for use with the Fluke 1750 Power Recorder and measures current from very low frequencies up to the 50th harmonic of a 50/60 Hz power supply. The flexible and lightweight measuring head allows quick and easy installation in hard to reach areas and around large conductors.